The M-Audio Keystation series controllers are simple, powerful MIDI controllers designed for sequencing music and playing virtual instruments on your Mac or PC. 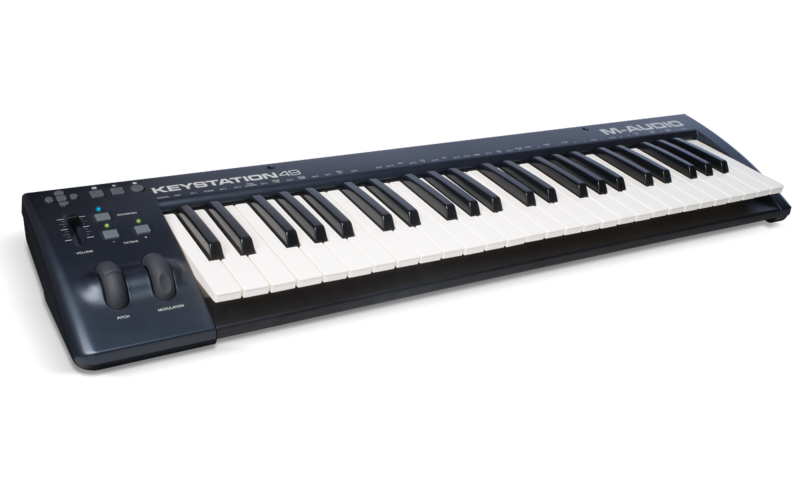 This article walks through a number of Frequently Asked Questions about the M-Audio Keystation series controllers. Does the M-Audio Keystation require a power supply? Do I need to install any drivers to use my Keystation series controller? Will the Keystation work with my Windows 8 and Mac 10.9 Mavericks computer? Will the Keystation work with my iPad? Do any software programs come with a purchase of the M-Audio Keystation? How do I reset the controller to the factory default settings? My sustain pedal is reversed and functioning backwards. What do I do? My Keystation is not reading in my computer. Why not? No. The M-Audio Keystation series controller is USB hub-powered, meaning that it is powered directly by the computer USB port when connected with a USB-A to USB-B cable. However, while the Keystation 49 does not have the option to connect a power supply, the Keystation 61 and Keystation 88 do. The M-Audio Keystation 61 and Keystation 88 can be powered by an optional 9V DC 200mA center-positive power supply (sold separately). 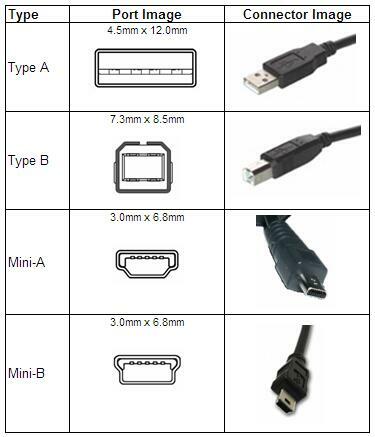 To purchase a compatible power supply, you can contact the M-Audio Parts Department by e-mailing parts@inmusicbrands.com or by calling the Parts Department directly at 1-401-658-5765 ext. 1407. No! The M-Audio Keystation series controller is a class-compliant device, meaning that it is plug-and-play and does not require any drivers to be installed. This also means that it will work with and is supported on the latest operating systems, including Windows 8 and Mac 10.9. Yes! The M-Audio Keystation series controller is a class-compliant device, meaning that it is plug-and-play and does not require any drivers to be installed. This also means that it will work and is supported on the latest operating systems, including Windows 8 and Mac 10.9. Yes! To use the M-Audio Keystation Mini 32 with your iPad, connect it to the iPad using the iPad Camera Connection kit (sold separately) which enabling you to perform and compose with audio apps on your iPad and other iOS devices. See the following link for a great guide and video on Connecting USB Audio Interfaces, MIDI Controllers, and Keyboards to the iPad. Yes! Bundled with your purchase of the M-Audio Keystation series controller, you will also get Ableton Live 9 Lite - which one of the most popular performance and production programs available in the world - and the flagship piano instrument from SONiVOX, Eighty Eight Ensemble 2. Hold down the buttons ADVANCED, OCT+, and OCT- simultaneously, until step 4. The Keystation is now set back to the factory default settings. The sustain pedal input on the rear of the Keystation series controller accepts any standard momentary, non-latching footswitch (sold separately). When pressed, this pedal will sustain the sound you are playing without having to keep your fingers pressing down the keys. The Polarity of the sustain pedal is determined by the keyboard upon startup. When the Keystation is powering up, the sustain pedal is assumed to be in the Up (Off) position. It is important that the sustain pedal is not pressed during startup, otherwise the pedal will reverse its operation, and notes will sustain when the pedal is not pressed. To reverse the polarity, simply power off the Keystation series controller, ensure that the pedal is not depressed, and power the unit on. Try connecting with an alternate USB cable. Try connecting to a different computer to determine if the cause is hardware or computer-related. If you continue to experience difficulty after walking through the steps suggested above, you may want to consider contacting M-Audio Technical Support for further technical assistance.